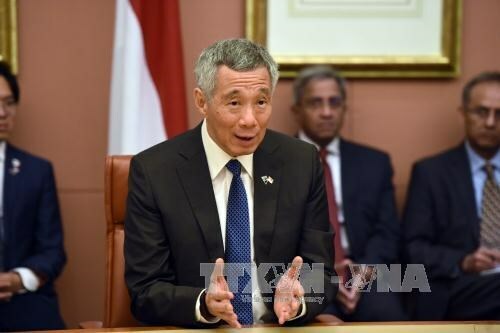 Singapore (VNA) – Singaporean Prime Minister Lee Hsien Loong on August 20 announced that the government would double its spending on pre-school education in the next five years to continue enhancing the country’s education quality. PM Lee said Singapore plans to increase its annual spending on pre-school education to 1.7 SGD (over 1.3 USD) in 2022. Previously, Singapore’s yearly expenses on pre-school education rose from 360 million SGD in 2012 to 840 million SGD in 2017. The number of public kindergartens in Singapore will also be raised from 15 to 50, the PM said at a recent National Day rally adding that his country will set up a new institute to train pre-school teachers and focus on fostering abilities of children from 5 to 6 years old. PM Lee stressed that the most important goal of Singapore is creating a good start for children when they officially enter the learning stage, especially for disadvantaged ones.